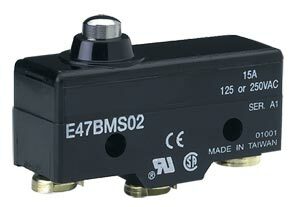 The E47 precision limit switches provide high accuracy switching at an affordable price. A variety of standard features, such as current capacity, operating force, travel characteristics and actuators let you custom fit the switch to your application. The switches are available in their compact basic form or enclosed in a rugged metal housing. Cost effective and compact. 참고: Comes with complete instruction manual.